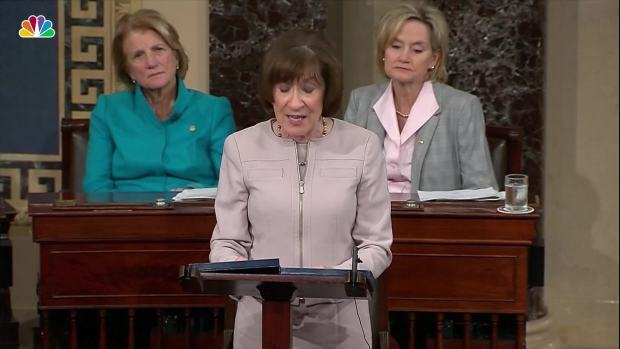 Maine's moderate Republican senator, Susan Collins, is a key swing vote in the confirmation of Supreme Court nominee Brett Kavanaugh. Republican Sen. Susan Collins of Maine announced she will vote to confirm Brett Kavanaugh to the Supreme Court on Friday afternoon. Collins had waited to reveal her vote for Kavanaugh until she had a chance to review the FBI report investigating Christine Blasey Ford's claim that she was sexually assaulted by Kavanaugh and his staunch denial of her claim. "I listened carefully to Christine Blasey Ford’s testimony before the Judiciary Committee. I found her testimony to be sincere, painful, and compelling. I believe that she is a survivor of a sexual assault and that this trauma has upended her life. 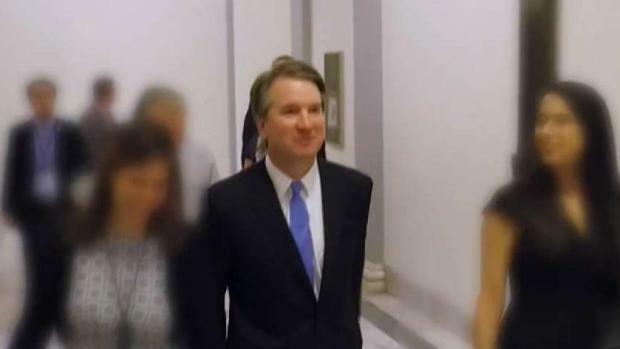 Nevertheless, the four witnesses she named could not corroborate any of the events of that evening gathering where she says the assault occurred; none of the individuals Professor Ford says were at the party has any recollection at all of that night," Collins said. "Judge Kavanaugh forcefully denied the allegations under penalty of perjury. Mark Judge denied under penalty of felony that he had witnessed an assault. PJ Smyth, another person allegedly at the party, denied that he was there under penalty of felony." Sen. Susan Collins announced Friday that she intended to vote in favor of Brett Kavanaugh's confirmation to the Supreme Court. Protesters gathered in downtown Portland to watch the live feed of Collins announcing her support for Kavanaugh, booing the moment they learned of her decision. "There are cultural shifts in our country that she is deeply out of step with," said Marie Follayttar from Mainers for Accountable Leadership. "She had an opportunity to show brave leadership, and she chose to not take that opportunity." Many of the activists who have been pushing for Collins to reject Kavanaugh said they felt betrayed. "We are coming after her seat," Follayttar added. "We have two million pledged for her Democratic opponent, and we've got a heck of a lot of political power." Former President George H.W. Bush tweeted his thanks for Collins saying, "I salute my wonderful friend and her principled leadership." "Senator Collins has yet again proven that reason and logic will prevail over the rabid rhetoric of extreme partisan agendas. America will soon have a new Supreme Court Justice who will respect and defend the United States Constitution as written, and for that I am eternally grateful," Chair Demi Kouzounas of the Maine Republican Party said in a statement. White House Press Secretary Sarah Sanders expressed her gratitude to Collins on Twitter and for "standing by your convictions and doing the right thing to confirm Judge Kavanaugh." The Senate voted 51-49 Friday to limit debate on Kavanaugh's appointment, defeating Democratic efforts to scuttle the nomination with endless delays and nearing the climax of a fight that has captivated the country since summer. With Republicans controlling the chamber 51-49, one Republican voted to stop the nomination, one Democrat to send it further. Of the four lawmakers who had not revealed their decisions until Friday — all moderates — only Republican Lisa Murkowski of Alaska voted not to move the nomination ahead. Collins and fellow Republican Jeff Flake of Arizona voted yes, as did Democrat Joe Manchin of West Virginia. Murkowski said Friday she would reject Kavanaugh's confirmation in the final vote. Manchin said he would vote to confirm him. Flake said he would support the nominee on Saturday "unless something big changes." Demonstrators stormed Collins' offices in Portland and in Washington Friday seeking to sway the senator's vote. A group wearing "Women for Kavanaugh" T-shirts showed up at her Washington office demanding that Collins "endorse him now." Another group held a sit-in at her Portland office. 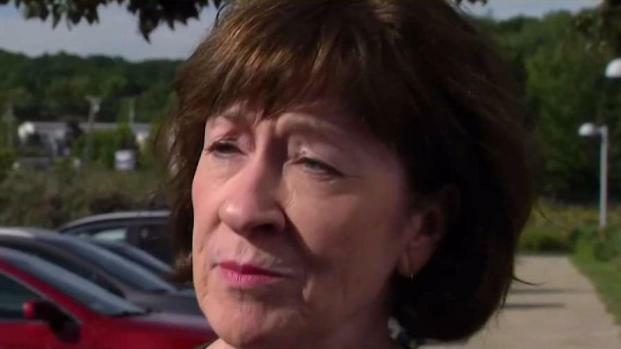 One woman there described her emotions as "mourning," as she braced for Collins to vote yes. 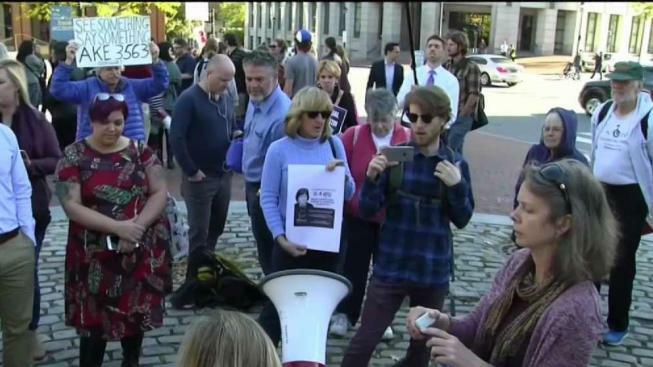 Republican Sen. Susan Collins, whose vote will be a deciding factor in whether Brett Kavanaugh is confirmed to the Supreme Court, was the subject of protests Friday in Portland, Maine. The final vote on Kavanaugh's appointment is scheduled to take place on Saturday. Flake planned to vote yes unless something big changes for him, he told reporters, calling it a hard decision. Friday's procedural vote occurred a day after the Senate received a roughly 50-page FBI report on the sexual assault allegations, which Trump ordered only after wavering GOP senators forced him to do so.